K.F. 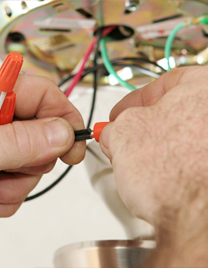 Electrical can carry out a wide range of electrical services. We cover a wide range of Electrical Services from Domestic work right through to Larger Industrial Electrical Contracts. No matter what the size of the job at hand or project to be undertaken we approach our work diligently and professionally. The electrical services we offer are available all over the UK. Please do not hesitate to contact us for a free honest and reliable quote.